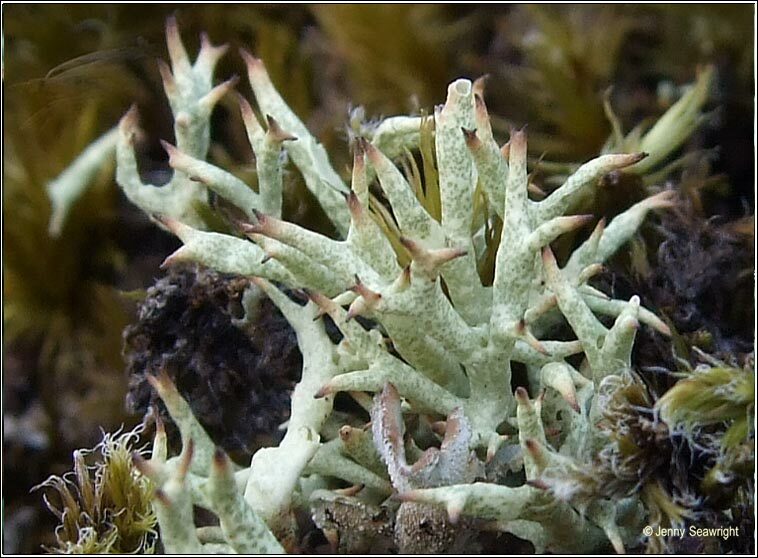 Basal squamules absent, thallus fruticose. 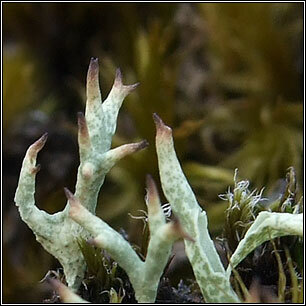 Smooth white to pale yellowish-green podetia with sparse irregular branching and open axils. Hollow, swollen, very brittle when dry. 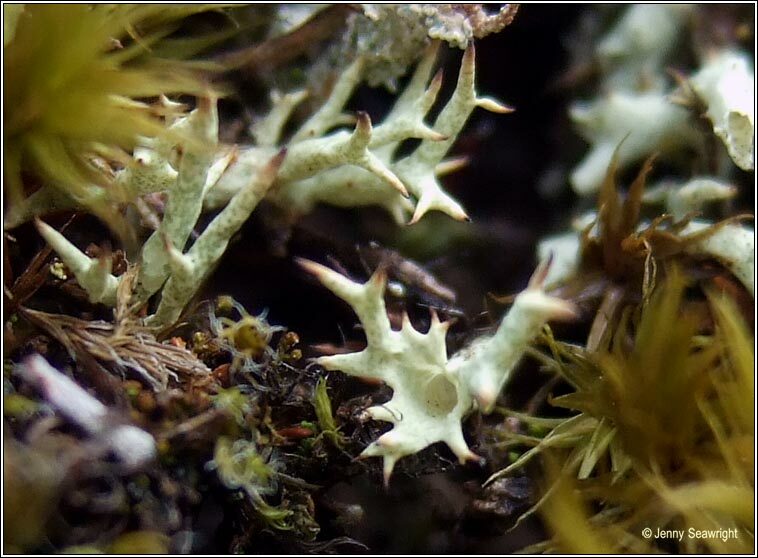 Tips are purplish-brown, usually dichotomously forked. 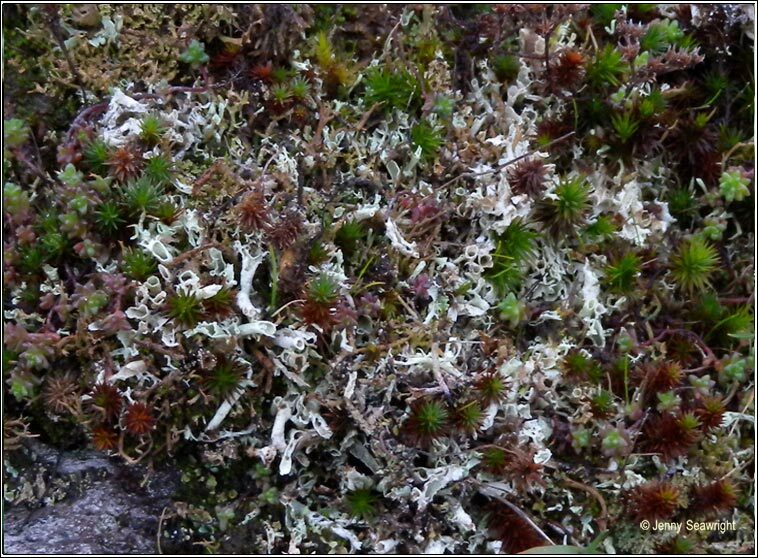 Common on peat bogs and open acidic heaths.